We spent much of the summer talking about Merchandise Forensics, and for good reason. 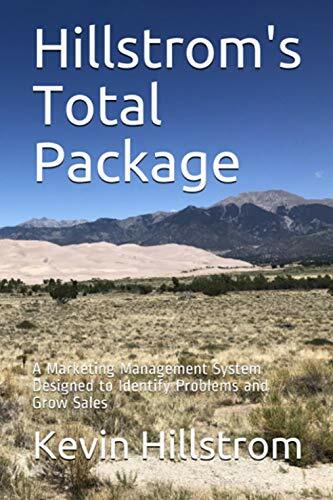 Twenty recent projects strongly suggest that merchandising issues, not marketing challenges, are the primary reason why a business struggles to grow. In "Hillstrom's Merchandise Forensics", I explore analytical techniques that clearly illustrate how merchandising challenges result in reduced customer productivity, and decreased marketing productivity. Six to forty catalogs from catalog brands. +/- 100 email marketing messages. A website that can be visited 24/7/365. In other words, a customer is going to hear about your business multiple times a week. Multiple times each week!! What more do you want the marketing department to do? Should they sit in the living room of every customer and demand that the customer purchase merchandise immediately? Of course, the marketing department can do a better job. But so can the merchandising department. This booklet helps the marketing team figure out why a business is struggling to grow, via merchandise productivity. 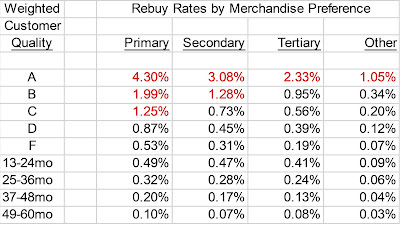 I use actual data to explain how new items, existing items, price points, discounts/promotions, seasonal issues, Cyber Monday (yes, it causes problems), merchandising categories, new customers, and existing customers all interact to limit overall business productivity. The reports are reasonably simple and straightforward to create. There's no reason somebody in your analytics/marketing department cannot produce these reports for you, on a monthly basis. And if they won't, then you contact me (kevinh@minethatdata.com) and I'll do it - now!! As mentioned earlier, Merchandising Forensics projects now make up the majority of the work I do. I worked on at least twenty projects of this nature since 2012, in sixteen of the projects, I was able to easily identify a merchandising issue that held the business back. If we've learned anything, it's that having an infinite number of marketing channels and a half-dozen customer contacts a week does not cause sales to increase. What causes sales increases are customer love for merchandise. And increasingly, my projects illustrate that we are doing a very, very bad job of developing new merchandise. You can buy this booklet in one of two ways. Digital via Amazon Kindle, $7.95. 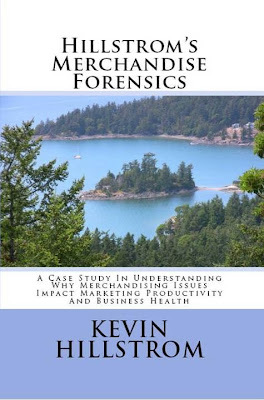 And you can contact me right now (kevinh@minethatdata.com) to have your own, customized Merchandise Forensics project prepared ... contact me now, because projects are going to line up really fast (click here for file layouts). Again - I'm tired of watching the merchandising team point fingers at the CEO, CFO, CMO, and marketing team, as if the merchandise they sell was perfect and they were not accountable for challenges. Granted, merchants suffer a disproportionate amount of scrutiny - but it isn't the fault of the CFO, CMO, or marketing team that nobody wants to buy odd merchandise. So buy this booklet, then hire me, then have data at your disposal to help everybody understand why 3,439 channels haven't resulted in a sales increase. Sales are not increasing because customers don't want to buy the merchandise. Measure it! Buy the book right now!